Good reviews are not only good for bookings but also help move you up the Google search results. To help encourage them, we have some tips below. You can use the steps below to create a link which you can add to emails from your booking system or include in a monthly newsletter. The link magically opens up the write review window directly for your customer. If you would like, we will create the link for you, just contact us and I’ll send it to you. 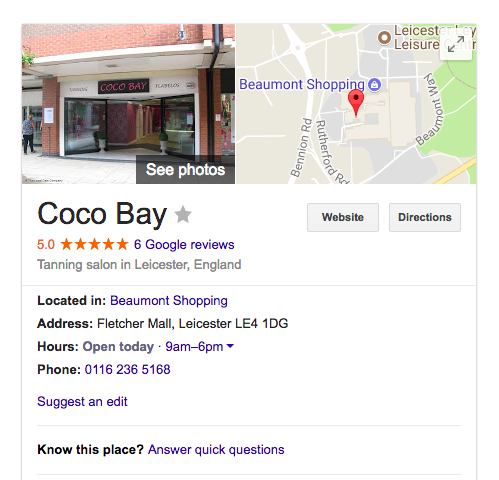 Search for your business to show the Google Business details. You will get the pop-up box. Copy the URL from the address box (select it, then copy). You can use that link in your email or post (maybe shorten it first – goto goo.gl to get a nice short version to use. You can add this to a blog or page on your website too. If you are confident you can add a 5 after the ,3 at the end (,3,5) and it will even default to 5* when the customer clicks. Other review sites to consider – Trustpilot (keep to the free plan) and Facebook. Be careful offering incentives; it’s often against the terms and conditions to do this. 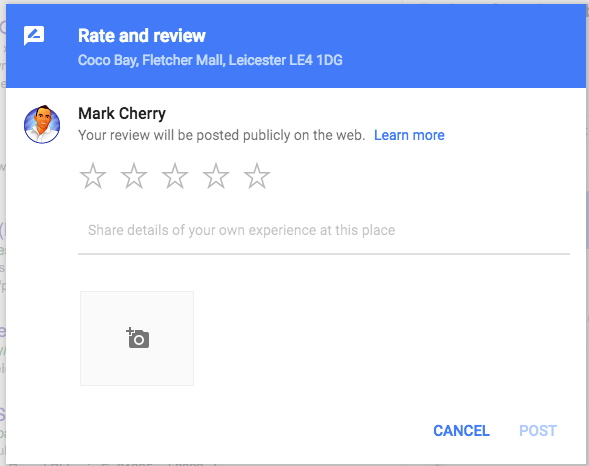 If you give out appointment cards, add something to encourage reviews on the card and a link to your website.